1sept 2018 के बाद जिन लोगो ने PayTM KYC के लिए Apply किया है चाहे किसी भी document से उनका KYC को नही स्वीकारा जाएगा । तो आइए आपको बताते ह की क्या ह इसके कारण ? 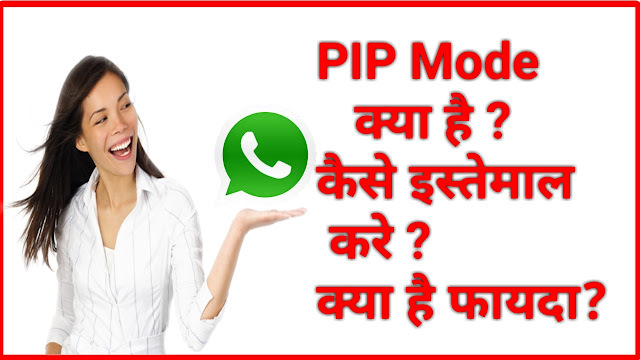 Whatsapp PIP Mode क्या है ? 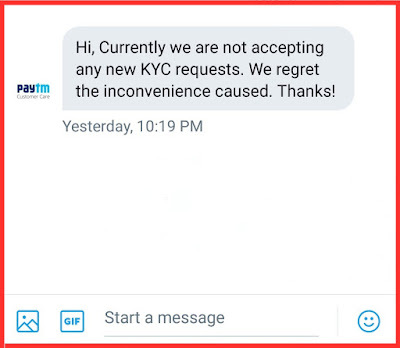 Why PayTM is not Accepting new KYC ? PayTM user we are not accpting new KYC bcoz of some technical issue . 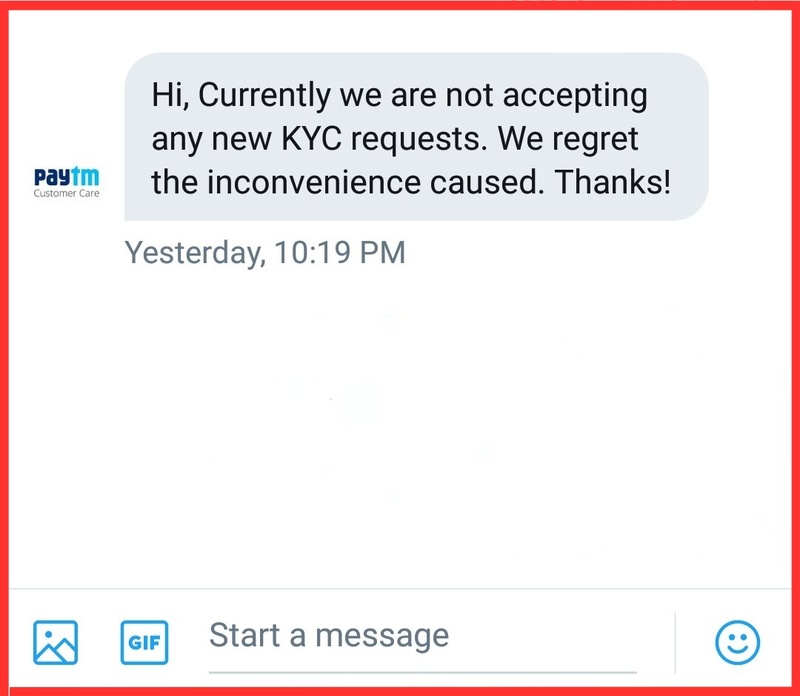 Please retry after some time or we will notify you after Update "
Hi, Currently we are not accepting any new KYC requests to open any Paytm Payments bank account. We will update you as soon as the service is live. Thanks! Hey Viewers, welcome to the award-winning blog, TechRevolution! I’m Asif ali, a professional blogger from Uttar Pradesh, India. I started TechRevolution as a passion, and now it’s empowering more than millions of readers globally by helping them to solve Tech queries and suggest a ideal way . Here at TechRevolution, I write about Banking,Mobiles , Computer , WordPress, social media, SEO, and making money online. You can read more about Tech Revolution at the “About” page. For any Query / Suggestion . © Copyright 2018 TECH-REVOLUTION. Designed by Bloggertheme9. Powered by Asif Ali.